And now we've finally reached that wonderful period in human history where we can command robots to cook us pasta. Morley Robotics and UK's Shadow Robot Company has developed Morley Robot Master Chef, a smartphone-controlled robot chef prototype that can whip up 2,000 meals, clean up, and wash the dishes. This robot, which was 20 years in the making, was recently unveiled at the Hanover Messe Robotic Technology Fair in Germany. Trained by BBC Masterchef winner Tim Anderson, Robot Master Chef is equipped with two robotic hands, each containing 24 motors, 26 micro-controllers and 129 sensors. While owners still have to lay out ingredients, the robot will do the rest. And yes, that includes cleaning up and taking care of the dishes. The product still needs two more years of development before it becomes available to the market. Nevertheless, we're already looking forward to the day we can just kick back and relax while we watch our cyberchef cook dinner. Check out these other futuristic finds such as the smart bed that makes itself, the bed that understands your sleeping patterns, space-saving toilet, and the world's most expensive mobile home. 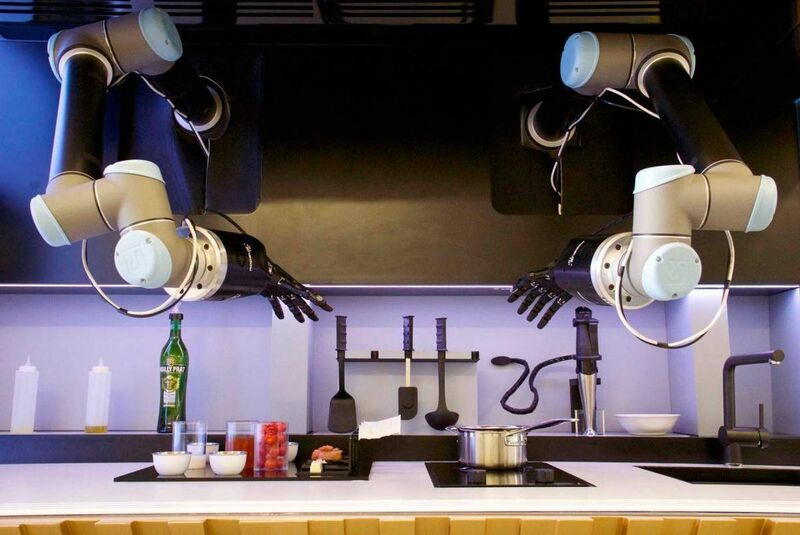 Do you know of other kickass products like the Robot Chef? Share it with us at hello@cromly.com.